After a stint running a tapas bar in Paris, Jordi Zurita Elvira, Julie Joseph and Gilles Creuzot decided it was time to open a modern yet laid-back, neighborhood bar/restaurant in Barcelona. 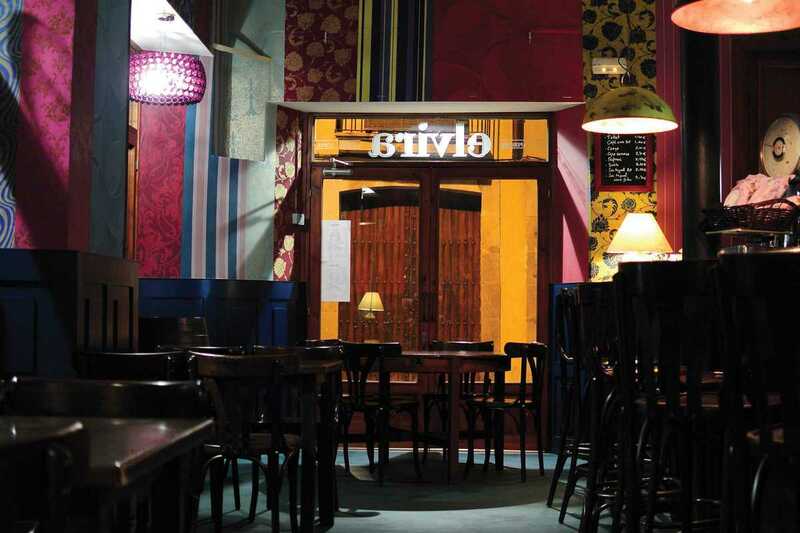 Eschewing the overused trend for pastel and rustic interiors, Elvira is bold but elegant, and the homemade, seasonal food brings traditional Catalan and Mediterranean cooking up-to-date, often with touches from international cuisines. The excellent-value menu del día includes dishes such as confited Iberian pork with apple, beef medallions with smoked chimichurri, duck rillettes & mango salad, or pickled sardines with sun-dried tomatoes, allioli, rocket & Kalamata olives. Contemporary tapas, plates and desserts are served all day and evening: pork paprika Arbizu sausages with honey & Idiazabal cheese, fried artichokes with yellow aji mayo, or oven-baked Crémeux du Jura cheese. End on a high note with crema catalana mousse or fresh cheese ice cream with confited figs.